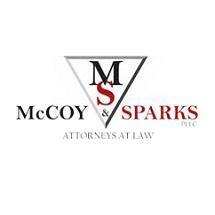 At the personal injury law firm of McCoy & Sparks, we are proud to serve the people of Nelson County, Kentucky. We have recovered millions of dollars for our clients. Instead of having to travel long distances to find a lawyer, turn to a qualified attorney who lives and works in your town. There is no place we would rather live, no people we would rather work for and no cause we would rather champion. Insurance companies often put profits ahead of their responsibilities to help accident victims. Before you accept an inadequate settlement offer from the insurance company, talk to us. If necessary, we will take them to court so you are fully compensated for: medical bills, lost wages, pain and suffering, and other damages. Contact us for a free case evaluation. Our office is in Bardstown. Besides Nelson County, we also represent clients across the region, including Washington, Bullet and Marion counties.